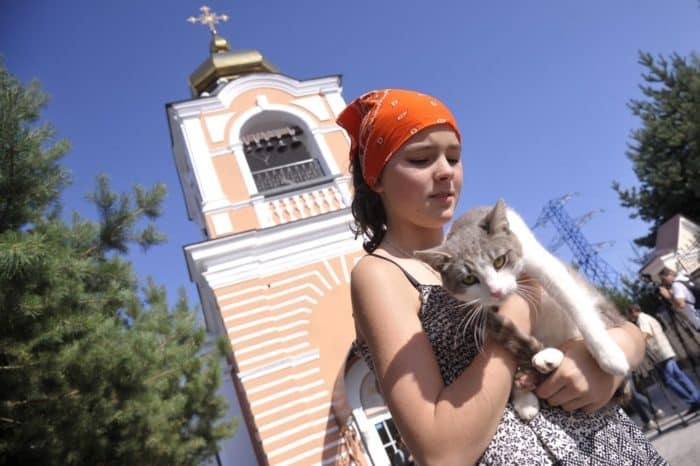 Russian Church Animal Blessing dedicated to homeless animals. 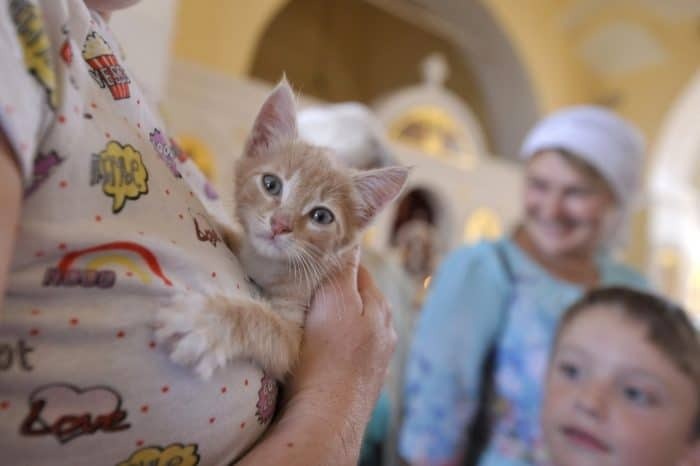 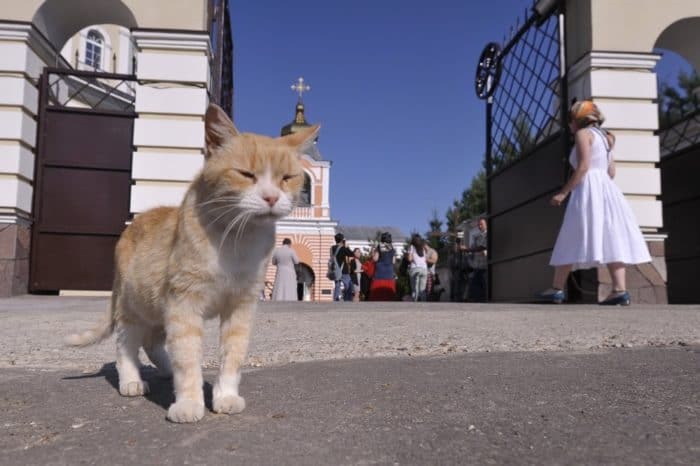 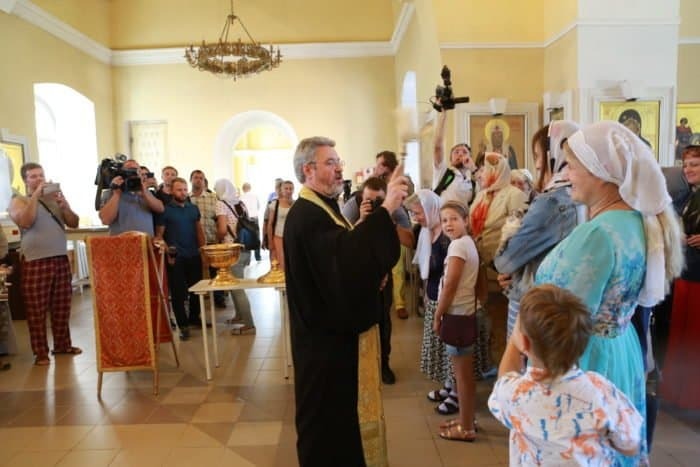 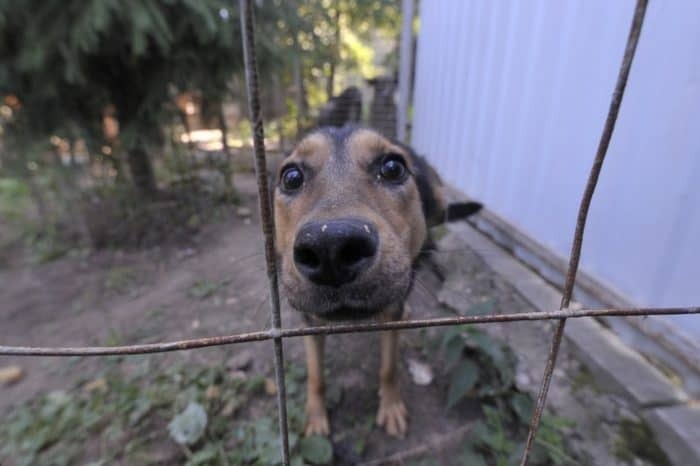 On Saturday, August 18, a prayer service for the preservation of God’s creation dedicated to homeless animals was held in the village of Lemeshovo near Ilyinsk near Podolsk near Moscow. 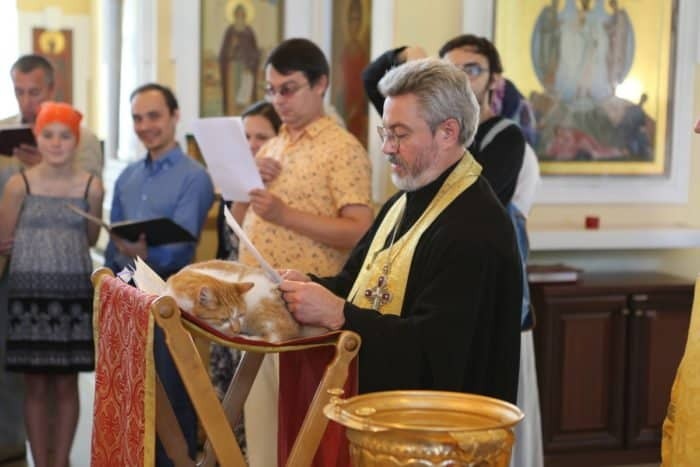 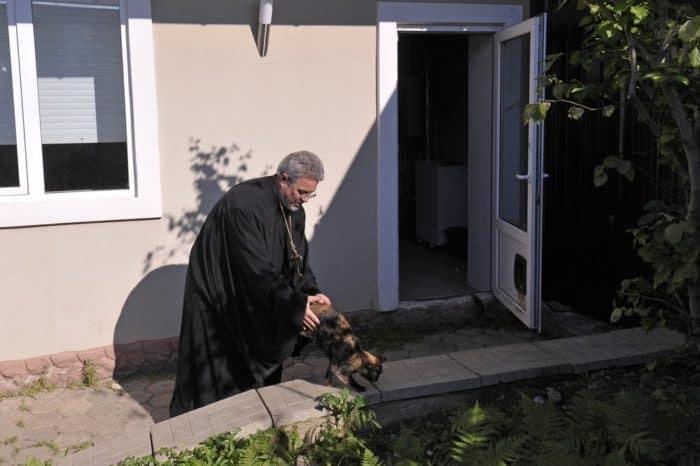 “We pray for people who, by their mercy, are ready to share their love with unfortunate homeless dogs and cats and participate in their salvation,” said the abbot of the church, Protopriest Peter Dynnikov. 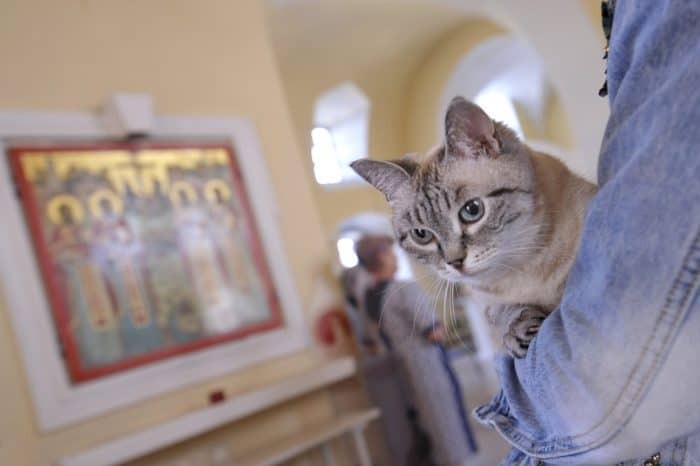 Believers came to worship together with their cats. 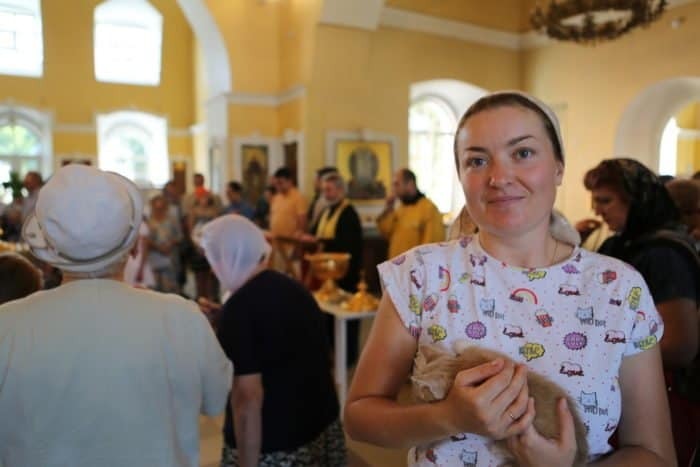 At the end of the moleben Fr. 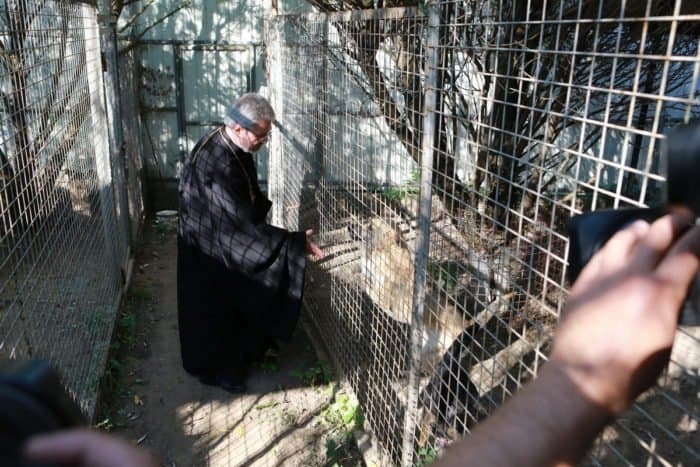 Peter sprinkled the animals with holy water. 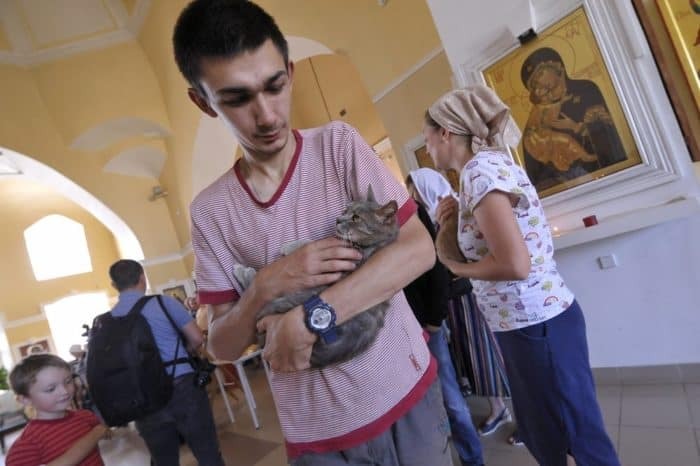 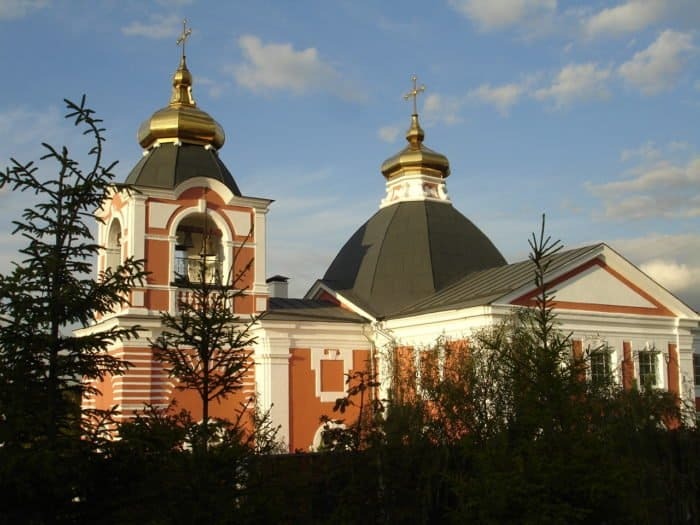 At the Church in Lemeshovo, there is a shelter-hospice for dogs and cats and everyone can donate food to them.